Palmeiras played convincingly, being against all odds able to exert their technical superiority on an absurdly drenched pitch, beating Uberaba/MG four goals to nil. The result not only eliminates the second leg but secures good revenues for the club (40 per cent of yesterday’s total). Three men were crucial for the outcome: Felipão – doing a correct reading of the conditions, changing his original gameplan that included the lighter Cicinho, Adriano and/or Vinícius for more sturdy players Luan, Chico and Rivaldo; and the before mentioned Luan in addition to Kleber – both players very inspired and the authors of two goals each. Valdivia again had a good night, although he suffered more from the bad playing conditions. Back in defence, Deola was solid as a rock. All in all a rather impressive display from the whole team, showing what can be achieved when everyone’s pulling in the same direction. Below, all the goals for your viewing pleasure. Not too often do I venture into the unknown, making it even more enjoyable that Tuesday’s post predicted the result on the spot! Perhaps one should follow instincts a bit more often? 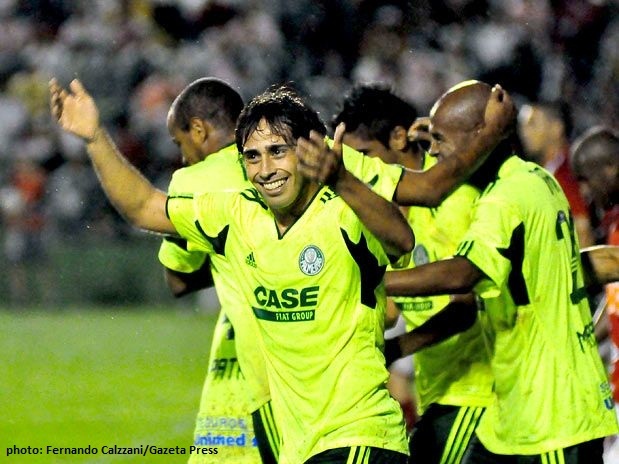 Coming Sunday’s attraction is the away game against São Caetano, for the Paulistão. 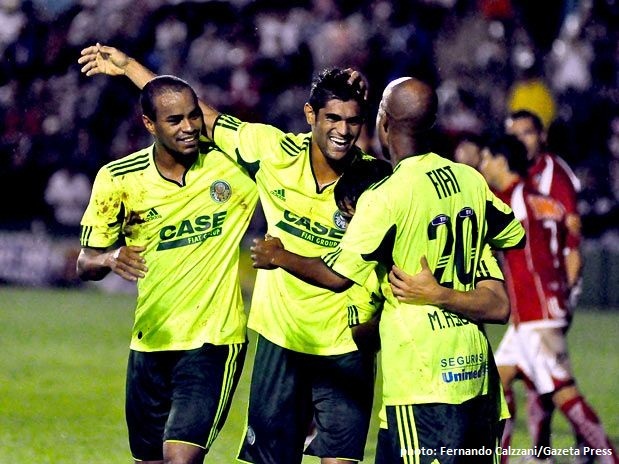 A predict a 2-0 victory for Palmeiras. Getting bold! To finalise: it’s UNBELIEVABLE the amount of CRAP a palmeirense has to endure from Brazilian “sports journalists”. This is no conspiracy theory, nor a crybaby syndrome. It’s a fact, becoming more visible each day that passes. Examples from the last couple of days include Scolari’s transfer to Portugal, Scolari’s transfer to Fluminense, the “absurd clauses” that Palmeiras have agreed to in regard to the construction of the new Arena (which will be the most modern in Latin America, coming at NO COST for Palmeiras), and other biased journalistic pearls. Would you believe me if I told you that several (prominent) news portals today bring headlines like “Drenched pitch benefits Palmeiras against Uberaba“? Since when is a drenched pitch considered beneficial for a light, fast and technical team? Since now, I guess. Congratulations about the page! 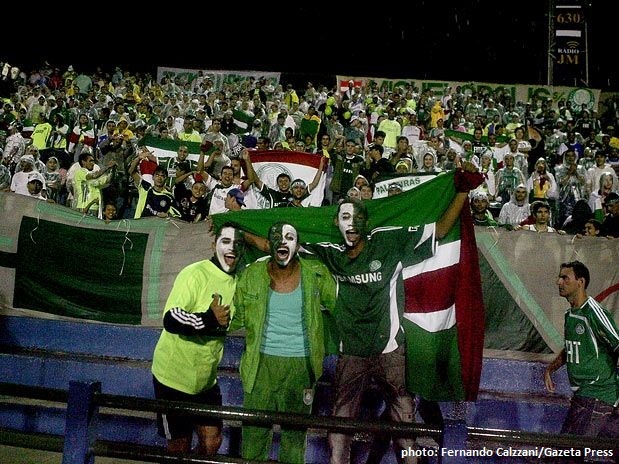 It’s really nice to read news about Palmeiras in English…. we can be informed and in addition improve our second language! Congratulations for the website! Very good man! Are you brazilian or what? Hi, Murilo! Thanks for the feedback! Not Brazilian, but Swedish. Although I’ve been living in Brazil for the last 12 years… Starting to feel like a Brazilian for sure. And absolutely a palmeirense!